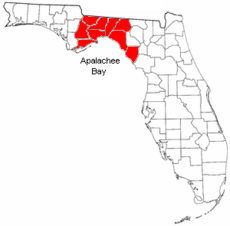 This map shows the Big Bend Coast of Florida in blue, and the Big Bend region in red. Big Bend (Florida) Facts for Kids. Kiddle Encyclopedia.